วันพฤหัสบดีที่ 24 มีนาคม 2016 เวลา 02:59 น. 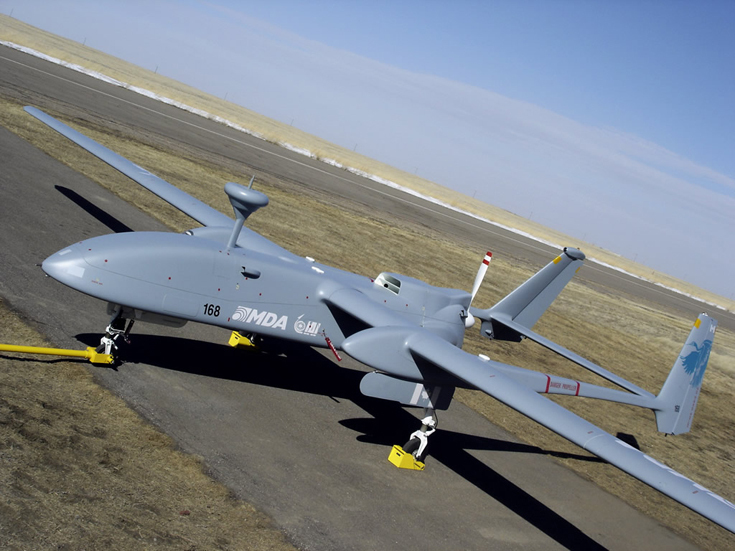 An unmanned aerial vehicle (UAV), commonly known as a drone, as an unmanned aircraft system (UAS), and also referred by several other names, is an aircraft without a human pilot aboard. The flight of UAVs may be controlled with various kinds of autonomy : either by a given degree of remote control from an operator, located on the ground or in another vehicle, or fully autonomously, by onboard computers. UAVs are often preferred for missions that are too "dull, dirty or dangerous" for manned aircraft. They have and are mostly found in military and special operation applications. 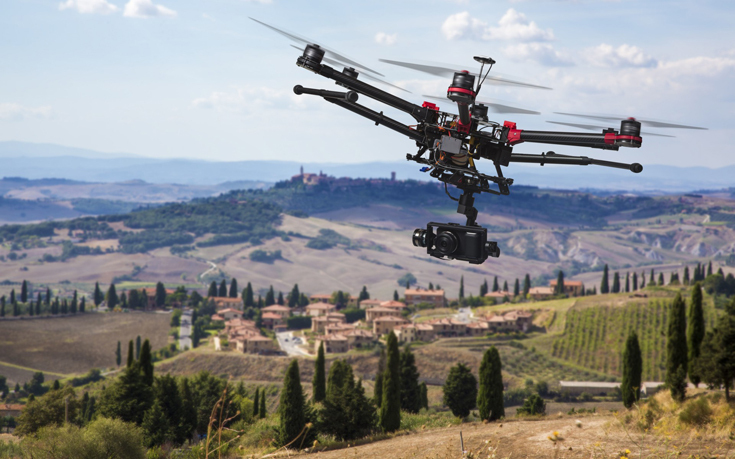 Though, UAVs are increasingly finding uses in civil and recreational applications, such as policing and surveillance, aerial filming, and drone racing. Technology is supposed to minimize collateral damage, not increase it. The Drone Papers show that in Afghanistan, drone strikes were 10 times more likely to kill civilians than conventional aircraft. Nevertheless, the Pentagon remains committed to drones and has built up an arsenal of about 7,000; a decade ago it had less than 50. In March 2015, the State Department issued new rules and regulations for drone sales abroad, stating that they will evaluate sales on a case-by-case basis and extend them only to “friendly nations.” But while the U.S. may take great pains to limit its own sale of drones, other countries won’t be nearly as careful. 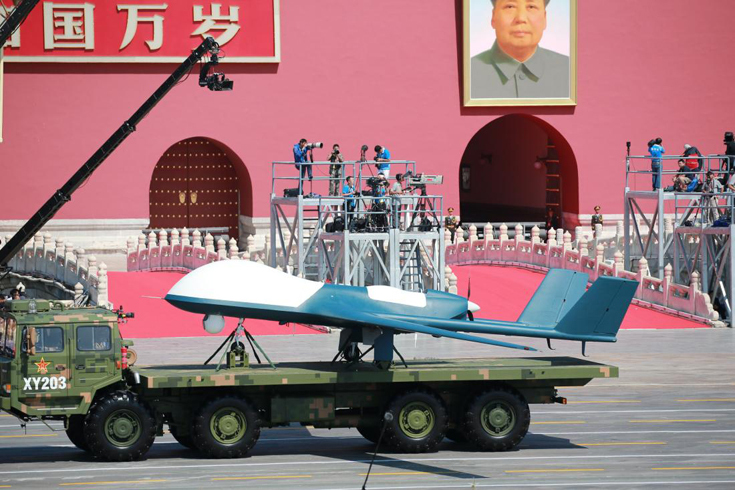 A military vehicle carrying a Wing Loong drone marches past the Tiananmen Rostrum in Beijing, China on Sept. 3 2015. It's the weapon that kills its target by remote control thousands of miles away. Beijing is still playing catch-up to the U.S. when it comes to drone production; it won’t be for much longer. According to the U.S. Defense Department, China will build nearly 42,000 drones worth about $10.5 billion between 2014 and 2023. We can’t yet estimate how many of those will be armed. For China, drones are a growth industry with significant market potential. Forecast International, a private market research firm, expects state-owned Chinese defense company Aviation Industry Corporation of China to become the world’s #1 producer of drones by 2023. For the U.S., the main concern is to whom Beijing will sell all those drones, especially the ones outfitted with weapons. Last year, China sold five armed drones to the Nigerian government to help fight Boko Haram. The U.S. is also keen to see Boko Haram defeated, though it has yet to trust Nigeria’s government with U.S.-made combat drones. China does not share the same concern. It’s the same story in Pakistan; Islamabad has long tried to purchase armed drones from Washington, but the U.S. has refused to export this sensitive technology. In September Pakistan launched an attack on Islamist militants using combat drones that resembled Chinese makes and models, according to weapons experts. Clearly, China will sell to customers that the U.S. won’t (yet) touch. But China isn’t even the world’s largest exporter of drones; that title belongs to Israel. Between 2010 and 2014, Israel exported 165 drones worldwide; America was second with 132. 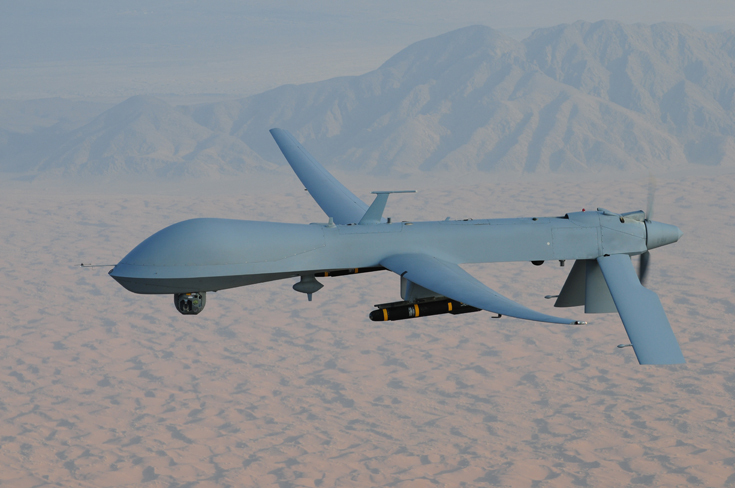 Between 1985 and 2014, Israeli drones made up nearly 61 percent of the global drone trade. In fact, Israel has been using drones since its 1982 war with Lebanon, and has spent the last three decades refining the technology. In 2013, drones accounted for 10 percent of the country’s military exports, and the international business consultancy Frost and Sullivan estimates that its exports will grow between five and ten percent through 2020. India announced less than a month ago that it has accelerated plans to buy 10 Heron TP drones from an Israeli firm for roughly $400 million. The deal makes sense for Israel; but the world should be concerned that now both India and Pakistan—the textbook definition of geopolitical rivals—possess combat drones. A nuclear exchange between these two remains far too frightening for either to contemplate seriously. 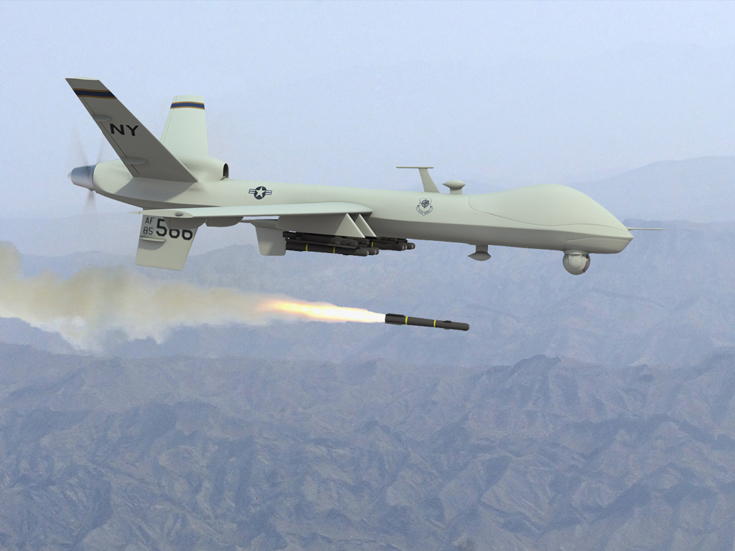 Drone fights are another matter and could draw the two sides toward dangerous confrontation. Israel isn’t the only country in the Middle East investing heavily in drones. Iran has been using them since the Iran-Iraq war in the late 1980’s. The U.S. Army’s Foreign Military Studies Office explains that “no aspect of Iran’s overt military program has seen as much development over the past decade as Iranian unmanned aerial vehicles (UAVs).” By 2014, Tehran had succeeded in developing more than a dozen different drone models. Exact Iranian drone figures are still hard to come by; however, there is general consensus that Iran’s drones lag far behind American and Israeli variants, especially when it comes to mounting them with weapons. Still, Iran has done the best it can with a shoestring military budget of $30 billion, investing resources on “suicide drones” designed for kamikaze use. The lifting of nuclear sanctions will unlock more than $100 billion for Tehran, and given Iran’s interest in military outcomes around the Middle East, it’s a good bet that Tehran’s burgeoning drone program will be a significant beneficiary. For a country that has a troubling history of waging proxy wars across the region, the rise of drones gives it yet another tool with which to extend its reach. Iran is a well-known sponsor of Lebanon’s Hezbollah militants; military analysts believe it funnels between $60 and $200 million a year to the group. In 2013, it already had a fleet of nearly 200 Iranian-made drones. Now it appears that Iran is providing Hezbollah—and Hamas—with the technological know-how to build these drones themselves. Last year, Hamas announced that it had three different drone models in its possession capable of surveillance, launching missiles, and nose-diving into targets. It’s difficult to verify these claims; these groups have obvious incentives to exaggerate their military capabilities. What is undoubtedly true is that each day brings us closer to a world where terrorists groups will use drones to further inflame the already combustible Middle East. *** Ultimately, it’s still too early to say how the rise of weaponized drones will change 21st century warfare. But if history is any indication, countries and other actors will learn to adapt. Drones don’t make the world any safer or more dangerous; they just change the rules of the game. Drones have been making the headlines lately with their military use, especially in the Middle East. When we think about drones, we picture spy planes and overseas espionage. However, as the US war efforts have been decreasing, these drones are being repurposed for non-military applications. Whether its a floating TV station streaming a live video feed to the web, a hard-to-detect paparazzi tool, a tool for police to use to catch suspects, or a government spying tool, the power of this technology is frightening. 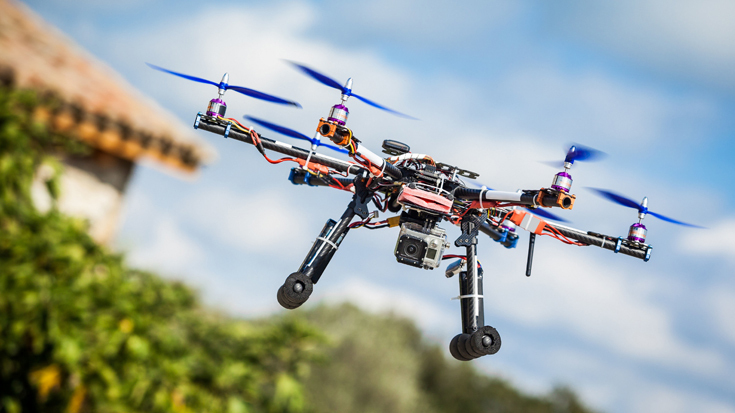 There are forecasts that there will be over 30,000 drones hovering in American skies by 2020. With great power comes great responsibility. But can we trust this power to any person or agency that has access to a drone? Legally there are few rights that Americans have to avoid being spied upon, with the United States Supreme Court declaring that individuals have no expectation of privacy in public places and even in their private property from public airspace. Where do we draw the line? How can this technology remain legal while we make sure it remains in the right hands and keeping our right to privacy protected? We know the U.S. is at war in Iraq and Afghanistan. But what many don't know is a third, secret war in Pakistan has been waged over the last decade by the CIA. In lawless, tribal lands the CIA is fusing its expertise in technology and intelligence to hunt down al-Qaeda and Taliban militants. Taking out terrorists and forcing other militants out of tribal regions, drone strikes have become an efficient tool in the CIAs cutting edge technological arsenal. But in one of the deadliest regions on the planet, the CIA is redefining its methods and strategy as the terrorists mount new attacks. Complete with drone strikes, double agents and hi-tech signals intelligence, CIA Confidential: Inside the Drone War takes viewers inside the dynamic world of 21st century espionage. Remote Control War examines the implications and effects of the increased use of robots, drones and other remotely controlled devices in modern military applications, both overt and covert Remote Control War illustrates how warfare is being revolutionized in a monumental shift unlike anything in our human history. The current campaigns in Iraq and Afghanistan exemplify the world’s first Robotic War. The American robotic fleet, almost non-existent when the US and its allies invaded Iraq in 2003, has today grown to number 7,000 robots in the air and 12,000 others on the ground. Some 43 other countries, including Canada, are now using robots in combat. 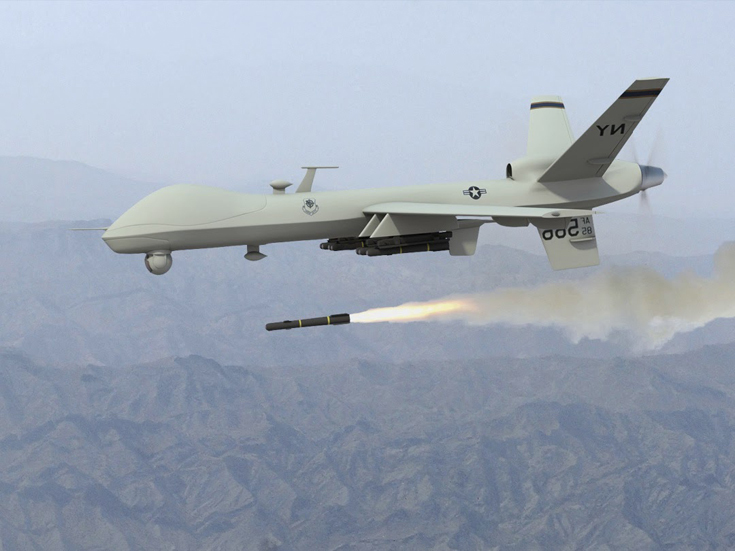 A U.S. drone strike killed the leader of the Taliban, Mullah Akhtar Mansour, in Pakistan On 21 May 2016. How the U.S. Tracked and Killed the Leader of the Taliban? U.S. spy agencies zeroed in on Mullah Akhtar Mansour while he was visiting his family in Iran, laying a trap for when the Taliban leader crossed the border back into Pakistan. While U.S. surveillance drones don’t operate in the area, intercepted communications and other types of intelligence allowed the spy agencies to track their target as he crossed the frontier on Saturday, got into a white Toyota Corolla and made his way by road through Pakistan’s Balochistan province, according to U.S. officials briefed on the operation. Then, the U.S. military took over. Operators waited for the right moment to send armed drones across the Afghan border to “fix” on the car and made sure no other vehicles were in the way so they could “finish” the target, the officials said, using the argot of drone killing—all before Mullah Mansour could reach the crowded city of Quetta, where a strike would have been more complicated. The ambush that killed Mullah Mansour marked a critical moment in Obama administration policy on Afghanistan, as it weighed a push for peace talks and a potential need for a military escalation. It also represented a message to Pakistan that the U.S. would take action on Pakistani soil if necessary without advance warning. President Barack Obama secretly ordered the strike on Mullah Mansour after first trying to bring him to the negotiating table. Initially, there was hope in Washington that Mullah Mansour would be more open to negotiations than his predecessor, Mullah Mohammad Omar. Obama administration officials were divided over whether the Pakistanis were capable or willing to deliver Mullah Mansour for the negotiations. U.S. officials said the Pakistanis tried and grew frustrated in February by Mullah Mansour’s refusal to send representatives to meet with the Afghan government. Around the same time, people who maintain contacts with the Taliban began to report that Mullah Mansour had left Pakistan and was spending time in Iran. U.S. intelligence agencies received information that allowed them to track Mullah Mansour’s movements, including details about devices he used for communications, U.S. officials said. That allowed the spy agencies to present policy makers with a choice: If and when Mullah Mansour were located in Pakistan, should the U.S. strike? Mullah Mansour’s travels made it easier to find him. In contrast, the Central Intelligence Agency spent years looking in vain for an opportunity to kill the reclusive cleric he replaced, Mullah Omar. An April 19 Taliban attack in Kabul targeted Afghanistan’s secret service, killing more than 60 people and underlining for the Americans the extent to which Mullah Mansour had chosen a military course. A decision was made that he should “face the consequences” of his refusal to negotiate, a senior administration official said. The U.S. knew the route Mullah Mansour took to Quetta because he had taken it several times. U.S. intelligence agencies detected his preparations to cross the border back into Pakistan last week. Both the U.S. military and the CIA operate drones in the region. Military drones in Afghanistan rarely stray across the border, and CIA drones generally only go into Pakistan for strikes in what are known as Federally Administered Tribal Areas, according to U.S. officials. Pakistan facilitates the program by clearing the airspace there for CIA drones, while publicly opposing U.S. strikes in Pakistani territory, they said. But Balochistan has long been off limits to the drones, U.S. and Pakistani officials say. So U.S. officials believe that Mullah Mansour and other Taliban leaders felt more comfortable there. Route N-40, which Mullah Mansour and his driver used, cuts between Taftan on the Iranian border and Quetta, the provincial capital of Balochistan, according to the U.S. officials. The U.S. normally would want multiple drones to keep eyes on such an important target. Because CIA drones weren’t operating in the area, U.S. spy agencies relied on signals intelligence and other location information to track the Corolla’s journey, according to U.S. officials. Armed drones based in Afghanistan and piloted by the U.S. military’s Joint Special Operations Command were preparing to move in for the kill, the officials said. The U.S. knew Pakistani radar could detect the intrusion. Pakistan might then scramble jet fighters to intercept the drones, so timing was critical. 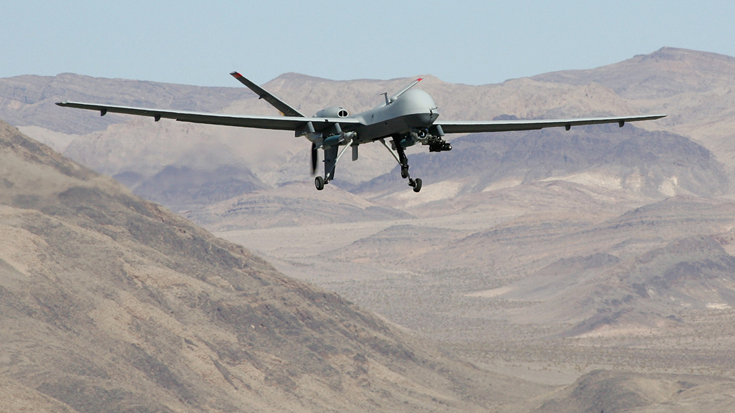 The military’s Reaper drones crossed the border into Pakistani airspace, flying low over the mountains along the Afghanistan-Pakistan border to exploit gaps in radar coverage, the officials said. Officers in the U.S. military command center overseeing the operation held off briefly because the vehicle pulled over near unidentified buildings, the officials said. It’s not clear why the stop was made. They waited until the car got back on the road and away from other vehicles and buildings. Then they launched the strike, and two Hellfire missiles took out Mullah Mansour, the officials said. The drones hovered overhead to ensure there were no survivors, then headed back to Afghanistan, the officials said. The U.S. government agencies involved in the operation agreed in advance that the strike would be disclosed publicly by the Pentagon once completed. The agreement also called for officials to be vague about identifying the location of the strike, and the Pentagon was instructed to announce that the strike took place along the Afghanistan-Pakistan border. But U.S. officials soon disclosed the location inside Pakistan. Pakistani officials said they weren’t notified by U.S. authorities until seven hours after the strike. 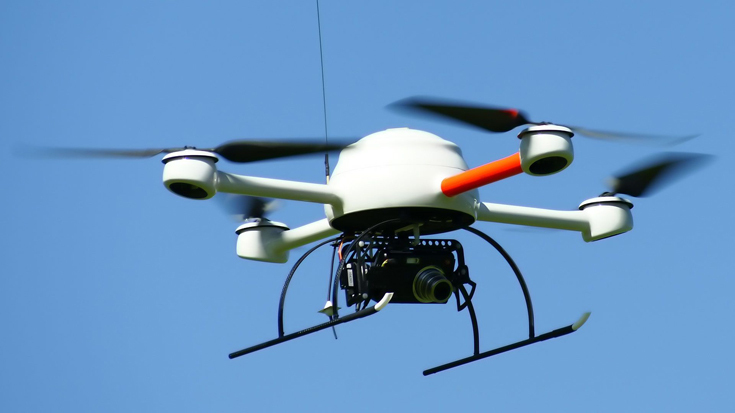 Unmanned aerial vehicles (UAVS), also known as drones, are aircraft either controlled by ‘pilots’ from the ground or increasingly, autonomously following a pre-programmed mission. While there are dozens of different types of drones, they basically fall into two categories: those that are used for reconnaissance and surveillance purposes and those that are armed with missiles and bombs. The use of drones has grown quickly in recent years because unlike manned aircraft they can stay aloft for many hours (Zephyr a British drone under development has just broken the world record by flying for over 82 hours nonstop); they are much cheaper than military aircraft and they are flown remotely so there is no danger to the flight crew. While the British and US Reaper and Predator drones are physically in Afghanistan and Iraq, control is via satellite from Nellis and Creech USAF base outside Las Vegas, Nevada. Ground crews launch drones from the conflict zone, then operation is handed over to controllers at video screens in specially designed trailers in the Nevada desert. 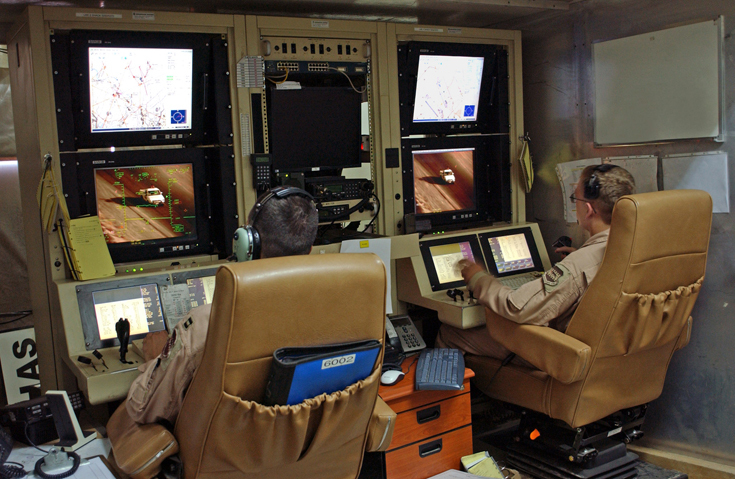 One person ‘flies’ the drone, another operates and monitors the cameras and sensors, while a third person is in contact with the “customers”, ground troops and commanders in the war zone. While armed drones were first used in the Balkans war, their use has dramatically escalated in Afghanistan, Iraq and in the CIA’s undeclared war in Pakistan. We can see the drones. They look like birds. The drones are circling this area 24 hours a day. Two or three at the time. There are always two. Most days three or four. When the kids, or I, hear the drones, we get scared. We can neither work, play or go to school. When the weather is cloudy, they don't show up. The organization ‘FOUNDATION FOR HUMAN RIGHTS ’ brought an action against the CIA use of drones in 2010. Hidden Britain By Drone: Series 1 We’re more used to hearing about drones in connection with bombing runs in the Middle East, but now they’re invading the stately homes of Britain, and Sir Tony Robinson is the man with his hand on the controls. In this high-concept show, the aerial cameras are used to give a bird’s-eye view of sites usually inaccessible to the public, from the eerie fake villages constructed by the Ministry of Defence to practise invasions – tanks trundling down cardboard streets – to the homes of Russian billionaires, to Winston Churchill’s bolthole in case the war went south. The stories are fascinating and, while they could probably have been told without sending up a remote controlled quadcopter, the show is proof that modern technology can also help explore our past. Tony Robinson presents the first of two programmes using drones to shoot aerial footage of areas of Britain that are off limits to the public. Among the locations featured is a village on Salisbury Plain that is not listed on any maps, and is used by the military for training. The drones record an exercise involving tanks storming the area. Other sites include the world's most advanced container port, a Second World War bunker, an abandoned airbase that once housed nuclear weapons, and an 18th-century mansion belonging to a Russian billionaire. Part two of two. Tony Robinson presents aerial footage of areas of Britain that are off limits to the public, including a shipyard in Scotland where aircraft carriers are built and a shipwreck on the Kent coast that is filled with explosives. Plus, a gated community with a dark past, James Dyson's top-secret research laboratory, and a platform in the sea inhabited by people who wish to become an independent nation. 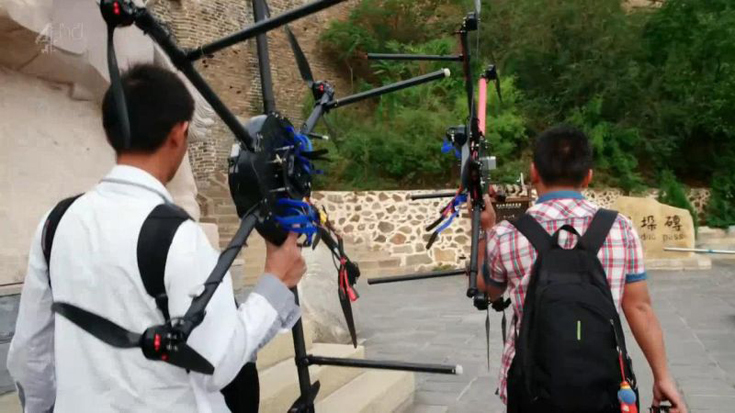 With access to the first nationwide survey and state-of-the-art drones mapping the Great Wall of China, this documentary offers new evidence that reveals its extraordinary magnitude, rewrites its millennia-long history and decodes its complex signals system. The microdrones are AUMAV (Autonomous Unmanned Micro Aerial Vehicle) designed to perform tasks in the field of documentation, coordination, exploration, surveying, communication, inspection and observation. They are miniaturised VTOL-aircraft (Vertical Take Off and Landing) based on the quadrocopter principle. Every microdrone can fly by radio link command & control or autonomously with the aid of our GPS Waypoint navigation system. Thanks to the unique AAHRS (Attitude, Altitude and Heading Reference System) even completely inexperienced pilots can learn to fly the microdrones in a very short time. Usually a beginner is able to control the microdrone after less than one hour of training. A modular payload concept allows us, to flexibly adapt the equipment to the intended mission. The availability of a high resolution digital still camera, several video solutions adapted to very different lighting conditions and also a high-end thermography heat imaging systems ensures the capability to carry out miscellaneous tasks of image recording and image broadcasting. The basic system consists of the microdrone with batteries, C&C and payloads in its transport box as well as the basestation suitcase. 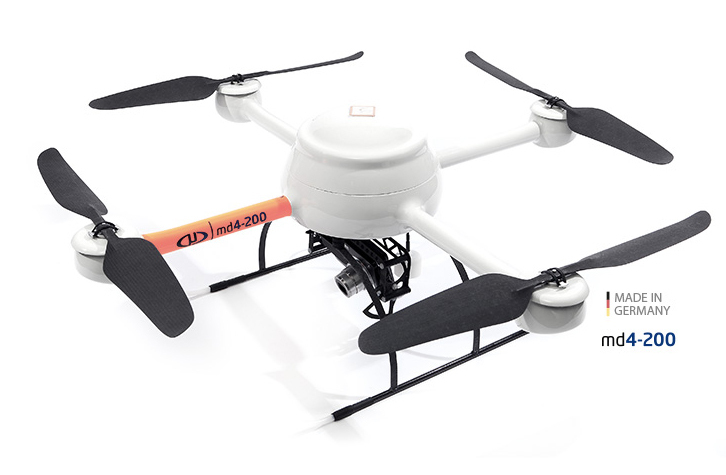 The md4-200 is the first micro unmanned aerial vehicle (MUAV) developed and produced by microdrones since April 2006. It is a small size, ultra lightweight system which can carry a wide range of payloads. The Northrop Grumman RQ-4 Global Hawk is an unmanned (UAV) surveillance aircraft. It was initially designed by Ryan Aeronautical (now part of Northrop Grumman), and known as Tier II+ during development. The Global Hawk performs a similar role as the Lockheed U-2. The RQ-4 provides a broad overview and systematic surveillance using high-resolution synthetic aperture radar (SAR) and long-range electro-optical/infrared (EO/IR) sensors with long loiter times over target areas. It can survey as much as 40,000 square miles (100,000 km2) of terrain a day. The Global Hawk is operated by the United States Air Force. It is used as a high-altitude platform covering the spectrum of intelligence collection capability to support forces in worldwide military operations. According to the United States Air Force, the superior surveillance capabilities of the aircraft allow more precise weapons targeting and better protection of friendly forces. Cost overruns led to the original plan to acquire 63 aircraft being cut to 45, and to a 2013 proposal to mothball the 21 Block 30 signals intelligence variants. Each aircraft was to cost US$60.9 million in 2001, but this had risen to $222.7 million per aircraft (including development costs) by 2013. 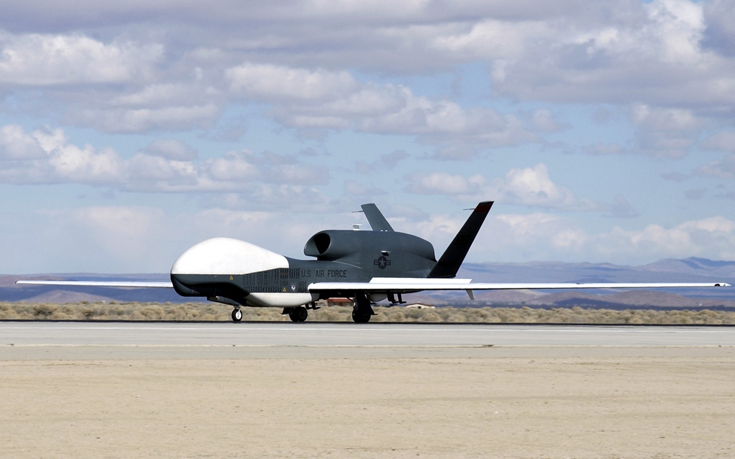 The U.S. Navy has developed the Global Hawk into the MQ-4C Triton maritime surveillance platform. In the near future, war drone technology has advanced and a new weapon has been unleashed - a humanoid drone stronger and faster than any soldier. But in the aftermath of a mysterious incident, damaged battle drone 237 is forced to go on the run with its programmer (Kenneth Choi) to try and take down their corrupt commander (Lance Reddick).